When her mother, a dressmaker, falls ill, indomitable Irene fights a raging snowstorm to deliver a dress in time for the duchess's ball. A Michael di Capua Book. 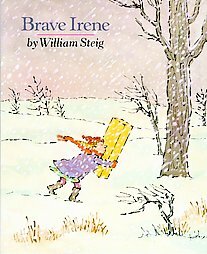 At age three I started reading Brave Irene to my daughter. She is now nine years old and it remains her all time favorite book. Back then we would read it at least tree times a week or more. 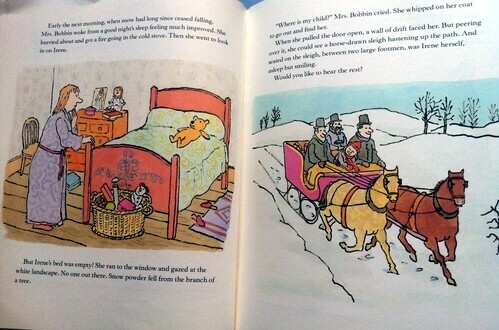 Still, Now every once in awhile, Annie comes to me and says " can we read Brave Irene together". 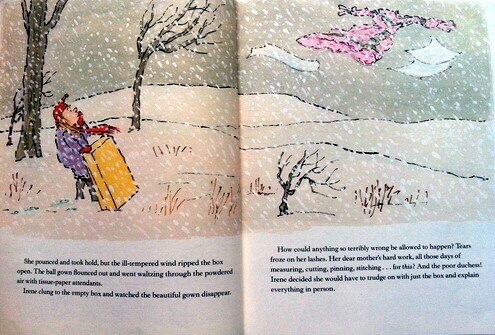 The story is about a young girl Irene who seems to be maybe nine or ten years old. 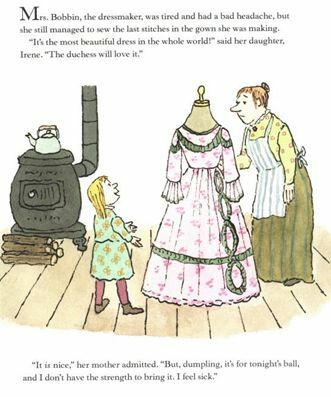 Her mother is a dressmaker and has made a gown for the dutches for her ball.Unfortunatley her mother isn't feeling to well and can't get the gown to dutches in time for the ball.Irene being a very responsible, carring, and BRAVE child,Wants to help her mom. So she takes the gown to the dutches. She has some problems along the way, But because of her love for her mother, she is determined to get the job done. 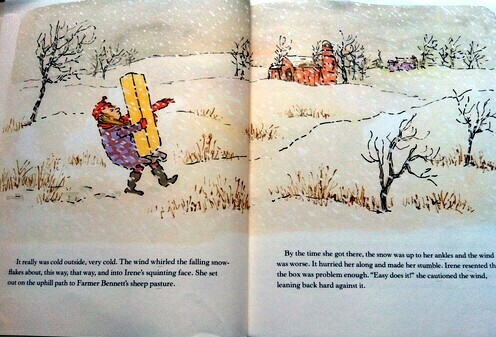 I feel that there are many lessons this book can teach a child. The main one being,CARRING. Our first copy of this book is so worn out, I recently bought a new one..